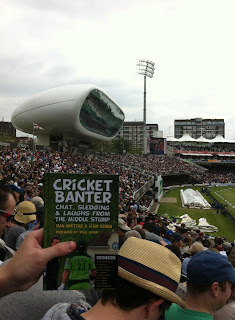 The first one comes courtesy of a friend of ours Jonny Jones during the recent Test match versus New Zealand at the Home of Cricket. Cherie Blair's mouth looks like it may swallow it! The second one comes courtesy of a couple of ladies down in Cardiff. Lil Miss Ashes aka Stacey Harris who has a fine book herself out called Point to Fine Leg, and Abby O'Sullivan who helped us with the guide to Glamorgan. 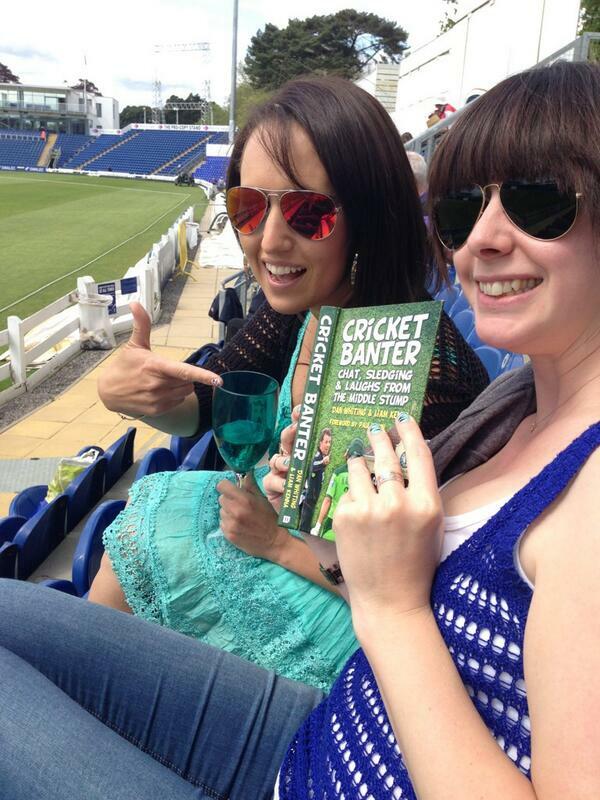 Cricket Banter has been described on Amazon as 'The Drinking Man's Wisden' and here the girls are enjoying both! Written in English, read by the Welsh! Next we have a copy sent to us by the DJ Steve Harris from Kerrang Radio, who we interviewed a few months ago. 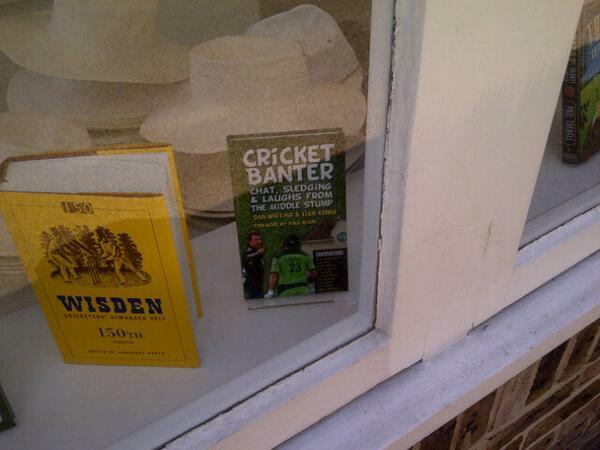 Steve is a top bloke, a huge cricket fan and took this picture yesterday in the club shop at Lord's. The polar opposite ends of cricketing reading here with the flippant and light hearted Wisden adjacent to the number one cricket book on the market! 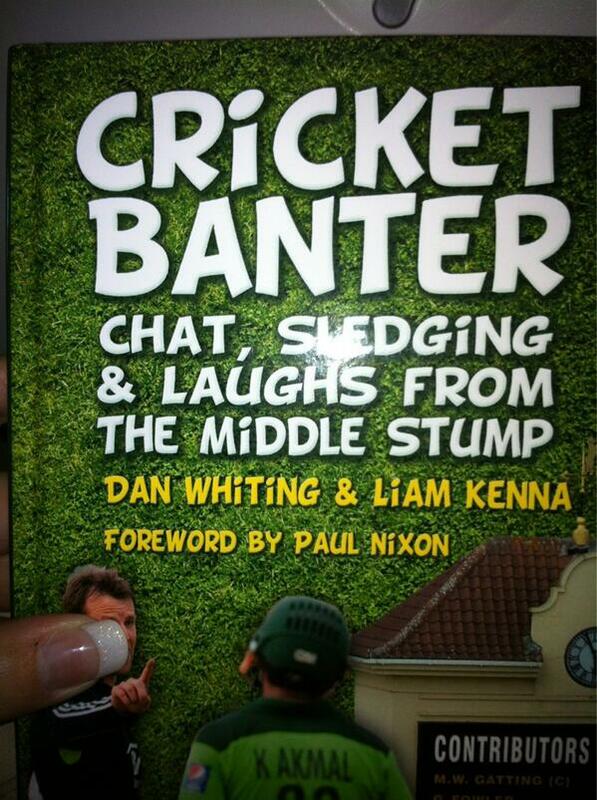 Now we are taking the piss. Finally this one was taken on a plane to Stuttgart by Middle Stump fan Susan Usher, who is based in the lovely city of York. Not only are Susan's nails fab, but now Germany will be thinking that Cricket Banter is Wunderbar! Get yourself a copy, schnell! Send us your photos in the most outrageous place and we'll print the best ones!